New age marketers have turned the word alchemy into a vague catch all phrase implying spirituality without any reference to the original art. Ask somebody what alchemy is and they might tell you it’s… alchemical? 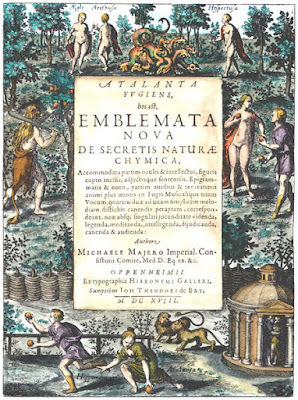 If you would like to do some homework and dig into one of the original alchemical texts, check out Atalanta Fugiens by Michael Maier, published in Germany almost 400 years ago. What makes this book of emblems so special, aside from the surreal imagery and sublime poetry, is that each image is accompanied by a piece of music called a fugue. This book is often cited as one of the first historical examples of multimedia. 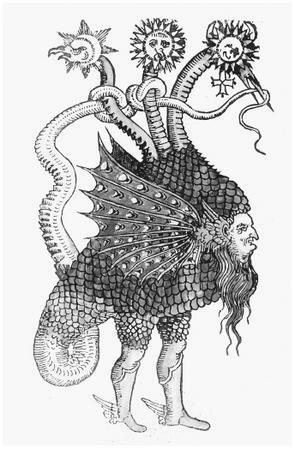 It is also the most robust collection of traditional alchemical music in existence. They were dictated on staff paper, so that one could study the written philosophy and then practice the fugue for further insights. Each of the fugues is composed of three instrumental voices, corresponding to the three alchemical elements; Salt Sulphur and Mercury. The primary operation of alchemy is to transmute base materials into gold through the application of these three elements. In the book, Maier refers to them as Atalanta (Mercury), Hippomenes (Sulphur), and Golden Apple (Salt). As is often the case in alchemical texts, these elements are not merely chemical but also mythological. Maier bridged the mythology of these characters with the three musical voices by assigning key characteristics to their melodic lines. Atalanta and Hippomenes are always in canon, which is comparable to a round. A classic example of the canon is the children’s song Row Row Row Your Boat, with each voice identical to the other but positioned to start at different times. Atalanta’s melodic line always leads Hippomenes, as is the case in the stories themselves. 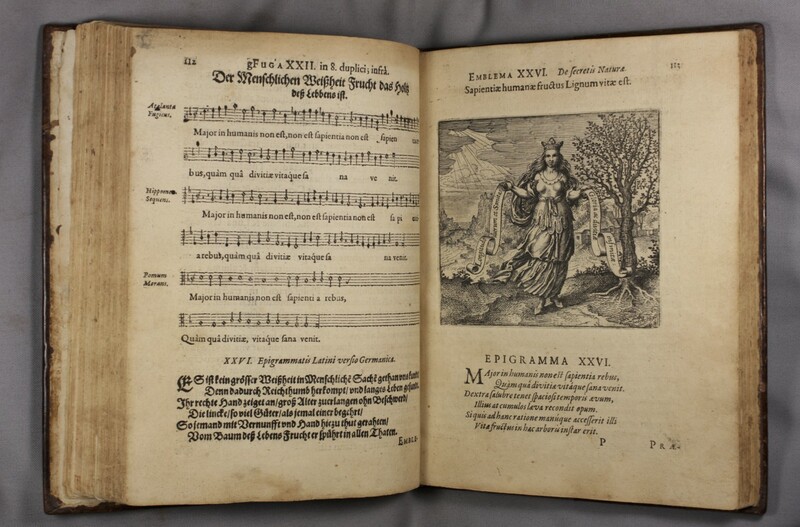 The Golden Apple melody is the same in every song, known as a cantus firmus in the art of fugue. It corresponds to Salt, which is the element of Earth, and so this consistency is sublimated to the symbolic level. Air and Water (Mercury) and Fire (Sulphur) are fluid elements compared to Earth (Salt), which remains relatively fixed in comparison. If you would like to read the English translation of Atalanta Fugiens, click here. For a photo slideshow of all fifty emblems in full color, click here. Adam McClean of Alchemywebsite.com has set his hand-colored renditions of the Atalanta Fugiens emblems to midi renditions of the music and assembled them sequentially into a video that you can watch below. Enjoy! Next Post What is Electro-Hypersensitivity Syndrome?